It is however a great source for bulk at a more than reasonable price. 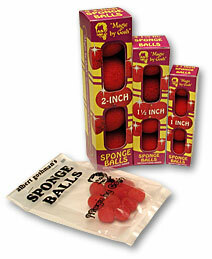 I ususally give a few sponge balls away at every gig, either to a happy kid or even amazed adults. It’s an affordable way to give your audience a nice memory! (Don’t forget to slip them your business card as well).